Category 6 cable is a twisted pair high signal integrity cable type often referred to as CAT6. Most cables are unshielded, relying on the twisted pair design for noise rejection, some are shielded. Often used in computer networks such as Ethernet. 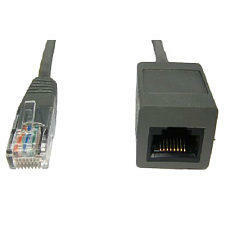 This ethernet extension cable is ideal for extending an existing network cable.